Very few artists have displayed substantial longevity in the music business. Either due to band breakups, changes in sound, or the untimely demise of a band member, it’s rare for an act to see chart topping hits span multiple decades. Not the case for today’s artist. Having top-40 hits in the ‘70s, ‘80s and ‘90s; he’s still going strong touring, writing and for some reason, manufacturing custom-made motorcycles. William Martin Joel was born in the Bronx in May of 1949. His father was a classical pianist of German decent, whose father immigrated to the U.S. to escape the Nazi regime. Mom and dad divorced in 1957, shortly after Dad moved to Austria. Living with his mom, William began learning piano at a very early age; getting taught by some of the most noted U.S. pianists at the time. William was happier in the boxing ring though, and would go on to win 22 bouts on the amateur Golden Gloves circuit. While in high school, he began playing at a local piano bar to help his mom make ends meet. The gigs ended up interfering with school, eventually leading to not having the credits to graduate. Rather than make up the classes, he opted to start a career in music. Influenced by The Beatles and The Four Seasons, Joel wanted a rock with structure type sound. After seeing the infamous Beatles performance on Ed Sullivan, Joel knew what direction he wanted to go with his career. After joining a few groups with little success, he signed a deal with Family Productions in 1970 for a solo career. His first album was a major flop, leading to a change in direction. 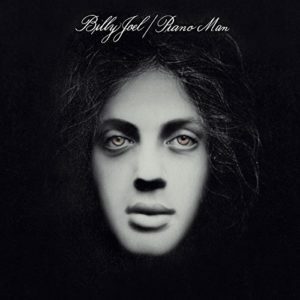 He signed with Columbia Records shortly thereafter, and his second release was Piano Man, released in November of 1973. The title track would become an instant hit, closing almost every concert Joel would put on at the time. While sales were modest at first, the album has since sold nearly 10 million copies worldwide to date. His sophomore album also started to generate buzz in the industry—not so much for a revolutionary sound, but because of Joel’s songwriting chops. Industry experts began putting Joel on virtually every watch list, to see if he could follow up a quite solid record. Needless to say, everything worked out a-okay for Billy Joel. He has sold more than 150 million albums worldwide, making him the third highest-selling solo artist of all time. He’s the type of act that whether you’re 15 or 51, you know and can sing the words to at least a handful of his songs. An absolute classic like Piano Man still sees radio play today, and can often be heard at the local college campus piano bars. There is even the Movin’ Out musical featuring his career works—that’s pretty big time, as there aren’t a ton of rock acts to have their own Broadway show. Part of his long-term success was due to constantly reinventing his sound. As time went on you could hear the changes in his life and views through his music. And Joel was one of the best of all time in terms of telling a story—regardless if the stories were true or fabricated, you always felt listening to his album was taking you on a journey. You can still catch Billy Joel touring around the U.S., and all over pop culture. He published his autobiography in 2011 and opened his bike shop in 2010. I saw him perform with Elton John years ago, and I’m not sure his vocals have changed much over the years, even with him now being in his late 60’s. No one has to tell you this is worth $5 dollars, you already know. So pick it up, and enjoy your Tuesday.